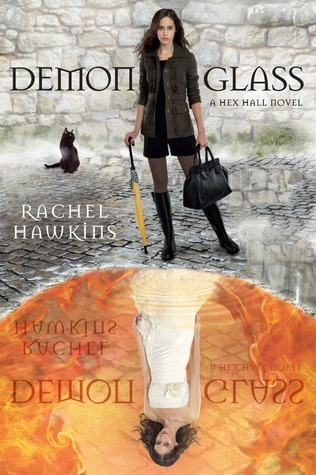 -I loved Hex Hall and cannot wait for Demonglass! Oooh, I keep seeing this book as people's WOW picks the past few weeks. I still need to read book 1 because this series sounds good. Great pick. I still need to read Hex Hall. And don't forget to check out my giveaway...just click here! I still need to read Hex Hall! Great pick. Yayayayay! I'm so excited for this one! It looks great. I hope we both enjoy it as much as we think we will! YOU AND ME BOTH!!! I can't wait for this one! I adored Hex Hall and I'm dying to read Demonglass. Love the covers as well, they're so colorful and different. Nice pick! I haven't read the first book. My WOW is at The Crowded Leaf. The cover is so sweeeet! I can't wait for this one as well!! I still haven't read Hex Hall.. But really want to! Great pick! I haven't read the first one but they are both on my wishlist. Great pick! Great pick! I have Hex Hall in my huge TBR pile to read, and this one is on my WL! I keep coming across this book. I haven't read Hex Hall but maybe now is the time.